You must make reservations at least 5 minutes in advance of the time at Fine China at The Statler. You will love our take on Modern Chinese. A Best of Big D "Best New Restaurant" Winner. 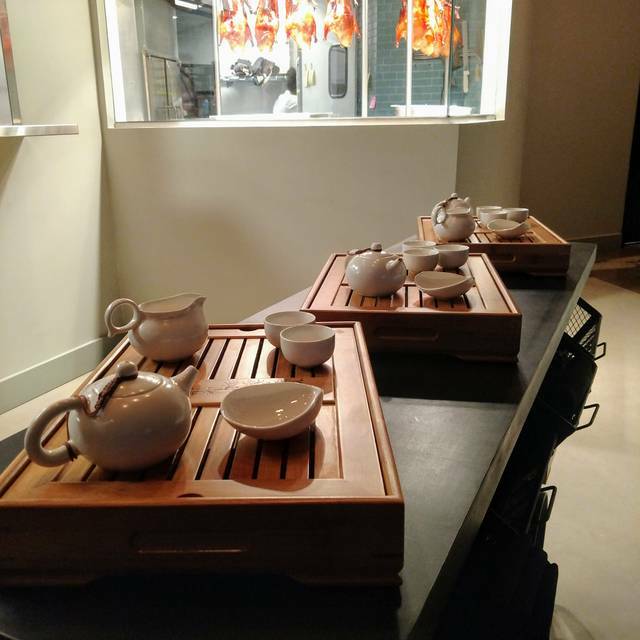 We'll share crispy Cantonese roast duck, dim sum, bottles of saké, good stories and even bad jokes. 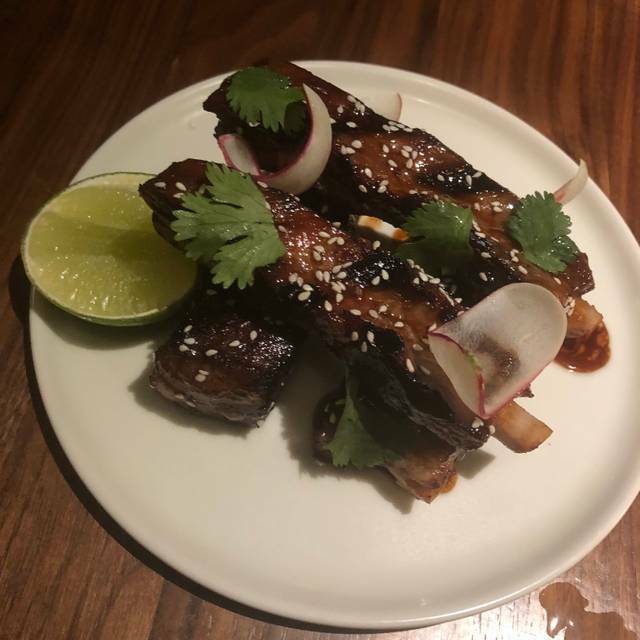 With Chef Josh Bonee leading the kitchen, Fine China offers a casually elevated and dynamic menu made up of traditional Chinese dishes accented by modern American cuisines and flavors. Here to party? Check out the Dallas' most extensive Japanese Whiskey library, craft cocktails, and curated saké list with a carefully curated music catalogue. Sample our menu for 50% off every dish + every drink. 4-6 p.m. Choose from 7 dishes on the NEW $12 Lunch + Fried Rice Bowl Menu. 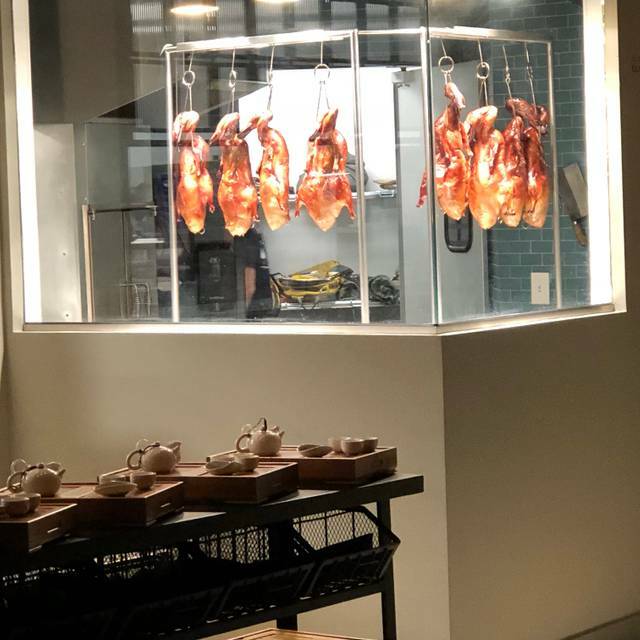 Enjoy our full menu including crispy Cantonese roast duck, dim sum, saké and specialty cocktails by Kyle Hilla. Treat Mom to our full menu including crispy Cantonese roast duck, dim sum, saké and specialty cocktails by Kyle Hilla. Outstanding! I brought three colleagues from out of town and they loved it. Try the duck! This place is my new fave! The shrimp is amazing. The service was spectacular, food was eh...just a little better than take out! Noodles in Beef noodle dish were all clumped together, chinese broccoli disintegrated as it was charred a bit too well! The atmosphere, drinks, and the pork fried rice were fantastic! Excellent as always. I’ve eaten here maybe 10 times when staying at the hotel. Wait staff is always friendly and cheerful. The food is a good mix of basic asian with some standouts like the beef tartare. The amount of food is almost too much. I always have to get a to go box. Highly recommended. We were there on a Sunday night, so it was pretty quiet. The food was great and it isn't your standard Chinese food. I liked the vibe and would go back on a busier night. Valet was $5. Delicious appetizers, small plates, noodle dishes and drinks. Very limited selection of entrees. And if you love crispy duck, this is the place to get it. BUT, make sure you place the order for duck when you make the reservation. They will not have any left if you wait to order it when you arrive. Also, ask for a table in the back. The front tables are not very intimate. 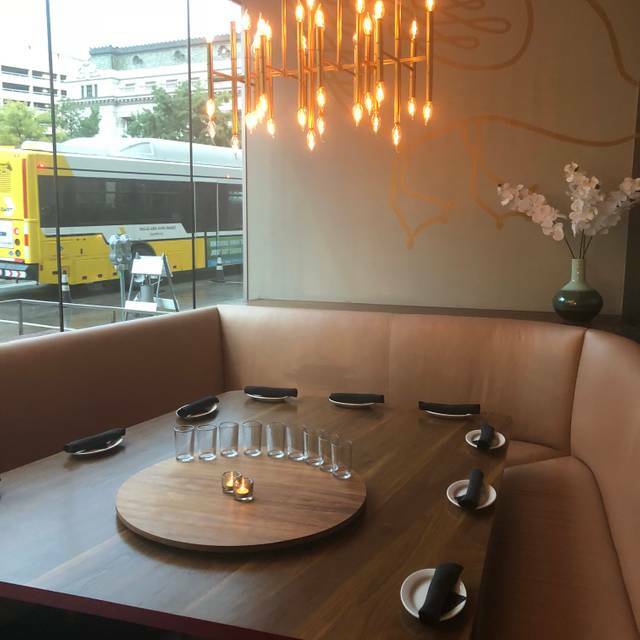 Plus know if you want to have your own private dining room, they have them available for groups of 6-10. Food was good, not great, odd portion sizes. The location & decor were nice, but a loud setting. Service was decent but seemed short handed. All in all, was a decent value. Nice contemporary design. Great service. Dishes described well. Shared portions. Very well prepared. 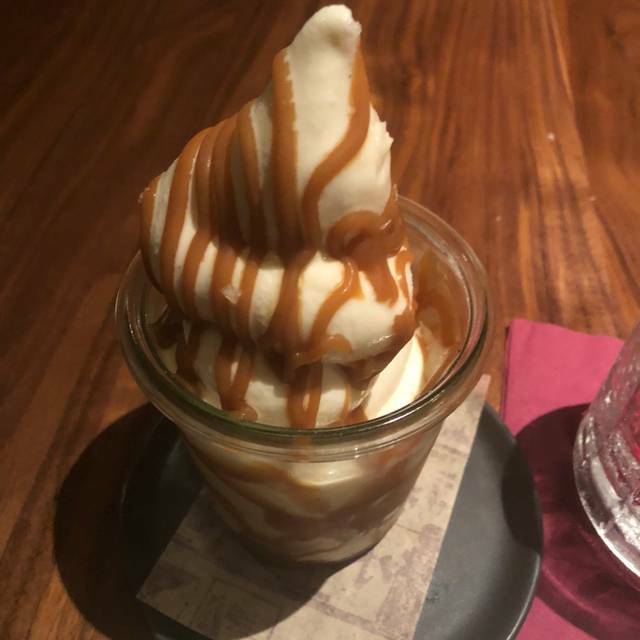 Very good restaurant, excellent food and drinks. The duck is amazing. The wine pours are very small. It is a better deal to order a bottle as glass is expensive and small. Ask for a table near the front as the back of the restaurant is dark and seems a little unfinished. Great food and very accommodating to my gluten allergy. The restaurant wasn’t very busy and the service could have been much better. All in all the food was delicious. My husband and I ate here while celebrating our anniversary. 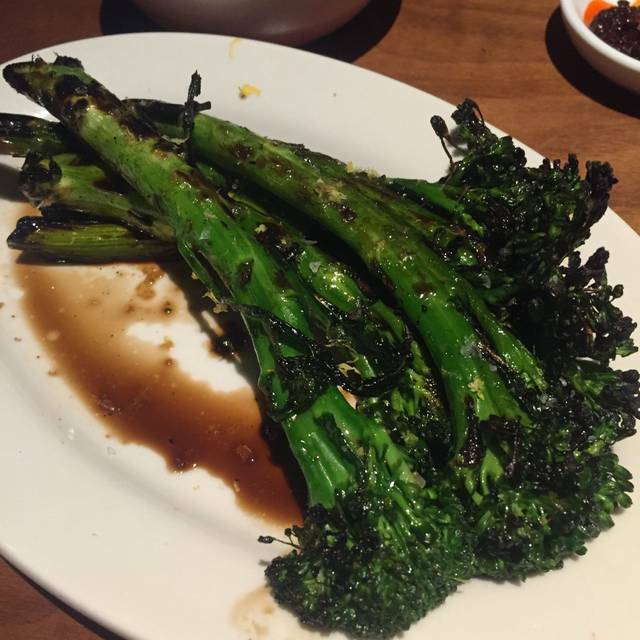 Service and food was exceptional and I would recommend to others! This was among the worst excuses for anything resembling either authentic or Western-style Chinese food that I have ever experienced. The shu mai was akin to a frozen variety or those in buffet lines. 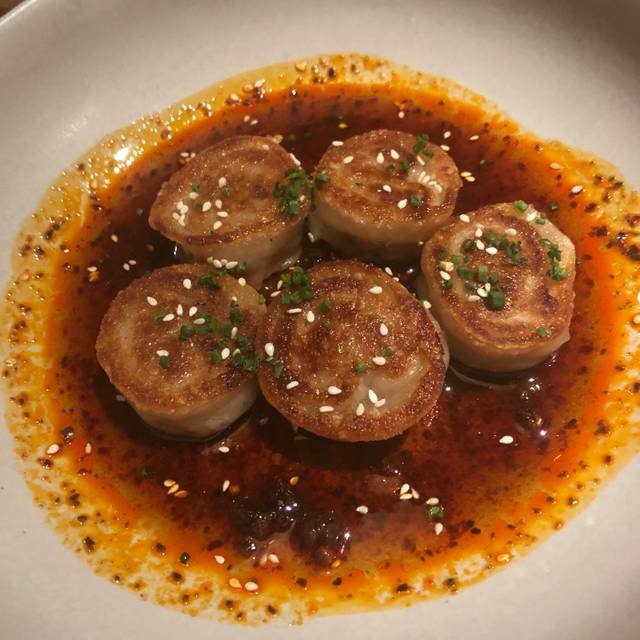 The dumpling wrapping was missing on one of the dumplings, and the filling did not resemble anything remotely acceptable in any cuisine genre. I have had many shu mai in more than 100 trips to Hong Kong, throughout PR China (especially in the Guangdong province) and many authentic dim sum restaurants in the U.S. and Canada. This was a pitiful, tasteless filling wrapped in nothing that could possibly be called a dumpling wrapper. The gailan (Chinese broccoli) was equally awful. It was coated in a powdered garlic/salt blend and was overcooked to the point of the stalks losing any bite. The attempt at a "rice bowl" for lunch was equally disappointing. How can any "Chinese" restaurant make rice so poorly? The accompaniments were not fresh, and the entire bowl was more like a fast-food outlet like Panda Express. The food was great but the server was off from the get go. Instead of introducing himself and asking the follow up question about us ordering the duck plate prior to our arrival, his first interaction was “Do I have this correct?” I had to ask him what he was speaking about. I also had to ask for his name. He never brought out the ribs we ordered as part of the appetizer and he forgot to order the duck that we requested and reserved. Though we did get the duck, it took another 30 minutes after our plates were picked up. Though he took full accountability which was refreshing and a 10% discount on our bill, this dampened the dining experience. Great food and service. Good spot for a business lunch or date. 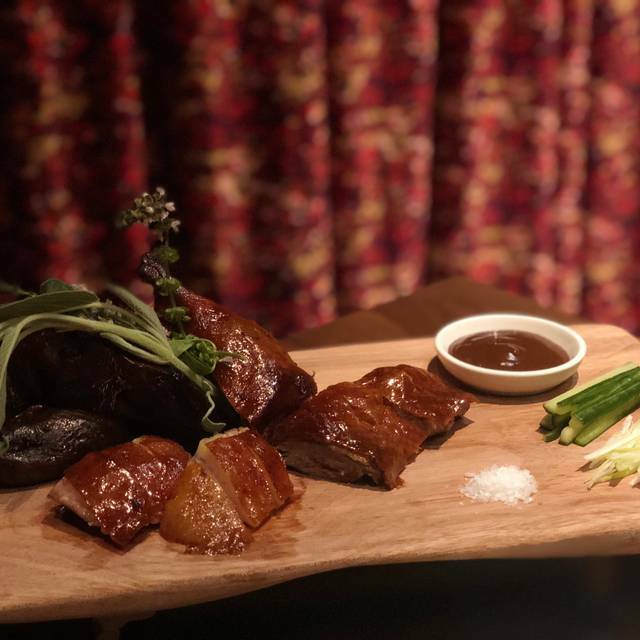 I'd read the review of Fine China in D Magazine's article 2018 Best New Restaurants, and was looking forward to their signature Cantonese Duck. But even though we had a 6:30 reservation, we were told that they were already out of the duck - on a Wednesday night. Disappointing to say the least. So we ordered the other dishes recommended in the article - the omelet stuffed with crab and the wok fried flat noodles. Both were excellent. Word to the wise, the omelet is big - enough for two people - and we appreciate that the waitress steered us to share. 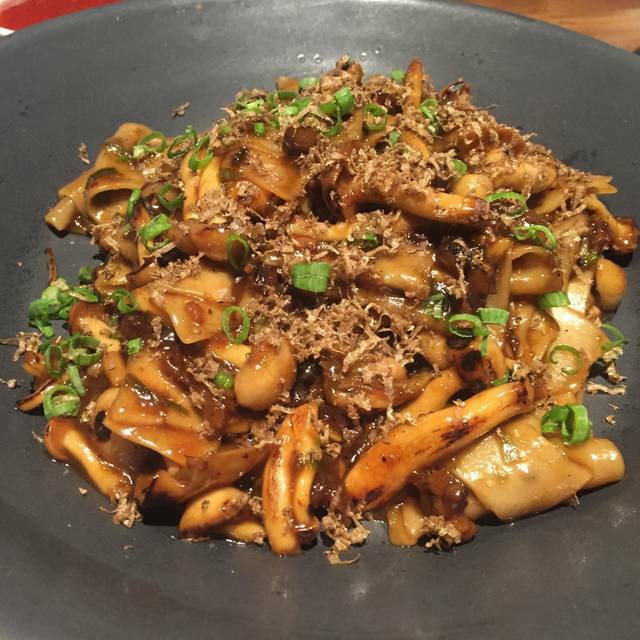 The noodles were as described - very delicious - except there was no shower of truffle shavings. A side of Brussels sprouts rounded out the delicious meal. As a bonus (to me at least), Fina China has an Orin Swift wine on their list, which was fabulous. We'll be back [when I can be assured of getting the duck]. Incredible service, yummy food, well priced. Service was friendly and well informed. Food was excellent. We made the mistake of ordering too much. Only slight disappointment was the Ma Bo tofu, was lacking in tofu. Also skip the sauce served with the duck. It needs no condiment, exceptional as is. We look forward to returning to this simple gem of a restaurant. Food was absolutely wonderful! Tea service was one-of-a-kind and very special. Truly a great experience, and I totally recommend it. Sat at bar. Decent service but for some reason bartenders were overwhelmed even though restaurant not that busy. Very good food except for flat noodles which were so over sauced. Duck excellent. Wonderful service and food. Would definitely recommend this place and hope to return. I was blown away by the tastiness of some of the food. I read very mixed reviews before I went, but it was a fantastic evening. Cocktails were good too. The rib appetizer is a must. The restaurant is fantastic, but the Lunch menu offers a completely different experience from the dinner menu (which is what we were expecting). Everything we had was absolutely delicious and well prepared. Coming back for the noodles! I was very impressed with the staff and cuisine at Fine China. This was a great spot for my husband’s surprise birthday dinner. We had our own private room which made the surprise and conversation great! We all especially enjoyed the aspect of sharing the food; it made for a wonderful experience! Food was perfection and great ambiance where conversation is easy. Service was impeccable with lots of staff. Food comes out in shifts. Not ideal. A lovely experience! We went before the theater and were very well taken care of and got to the theater on time for a spectacular show! Chicken letter wraps were completely flavorless, the shrimp was over-garlicky and over-fried, and the lady who was assisting our waitress most likely came from ihop as she insisted that we keep our dirty silverware between courses. Wow. The duck was phenomenal! We enjoyed every aspect of of experience at Fine China and will be back! I love this place and their food. In general the service is fantastic. It was a little bit off today as our regular waiter was not there. The waitress we had was just a tad cold. However, totally worth going here and the Eggplant dish is AMAZING!